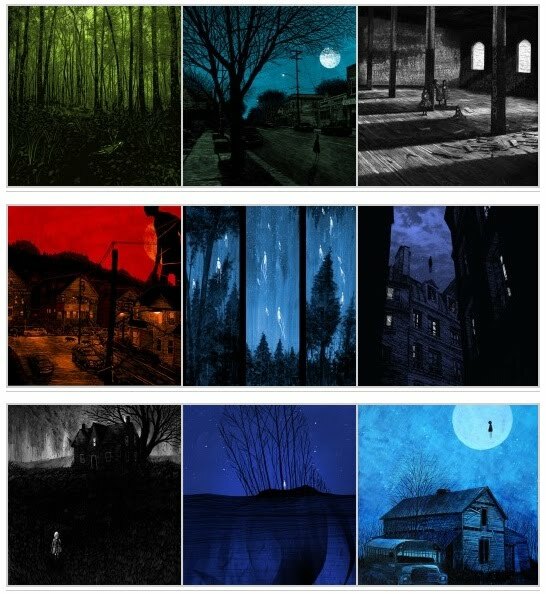 One of my favourite print makers is a young artist called Daniel Danger working in New England. His website is here and a 3 x3 collection in the form of a Tuftean 'small multiple' created by Art Lies is shown above. Danger is a very accomplished young print maker working in New England who has been very succesful illustrating gig posters and CD covers for bands. I have a couple of his prints and the density of colour he uses and attention to fine detail make them very special pieces to own.